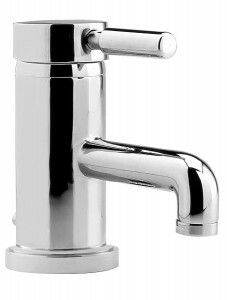 Hudson Reed Tec Lever bathroom taps are a range that is designed for easy use having the single lever on each product. The range is small but covers every item you would require fro a minimal bathroom, for basin mixers your choice is the single lever mono bloc basin mixer (pictured right) comes with a click clack waste or a Tec single lever side action basin mixer in both standard sized and also available as a mini basin mixer, there is a tall mono bloc basin mixer for bowls and two wall mounted versions one with a side lever which is unusual. For the bath the choices are either a Tec lever wall mounted bath filler or a wall mounted bath shower mixer which has a diverter built into the spout. There are also some freestanding options with the Tec lever Elite bath shower mixer. To see the full range with prices please click here. This entry was posted in Latest Bathroom Taps and tagged basin mixer, basin mixers, bath filler, bath shower mixer, bathroom taps, bowls, click clack, elite, freestanding, hudson reed, lever, mixers, shower mixer, side action, side lever, spout, tall, tec lever, Thermostatic, two hole. Bookmark the permalink.